An amazing speech on the Day of Rage Saturday August 9 in Dublin. 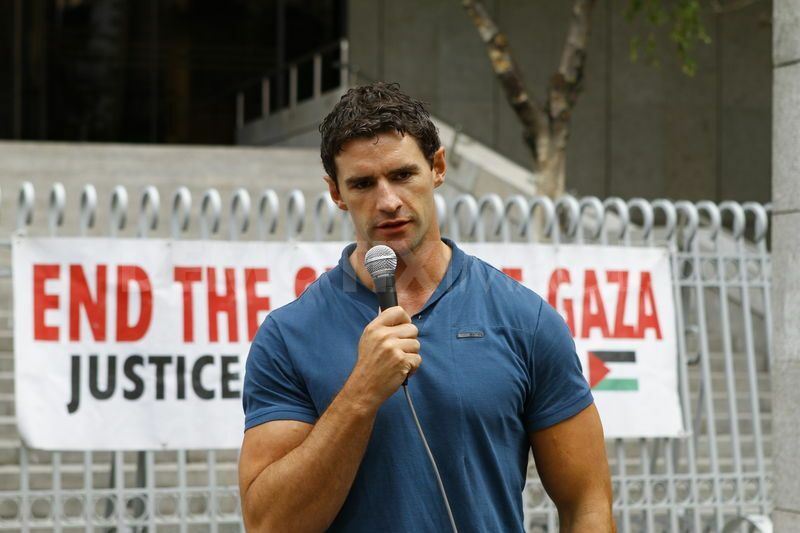 Trevor Hoganis a former rugby forward in Ireland who participated in the Gaza flotilla and has assumed a prominent role in Palestinian solidarity in his country. Here he calls out the “cowardice” of the Irish government and the members of the Israel lobby in the face of Palestinian “annihilation,” and demands that the Israeli ambassador, the “chief liar, the chief warmonger in Ireland,” to be expelled from the country.